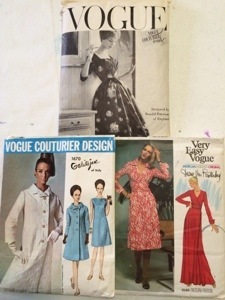 My three favorite ones are Vogue 1670, Vogue 100, and Vogue 1549. 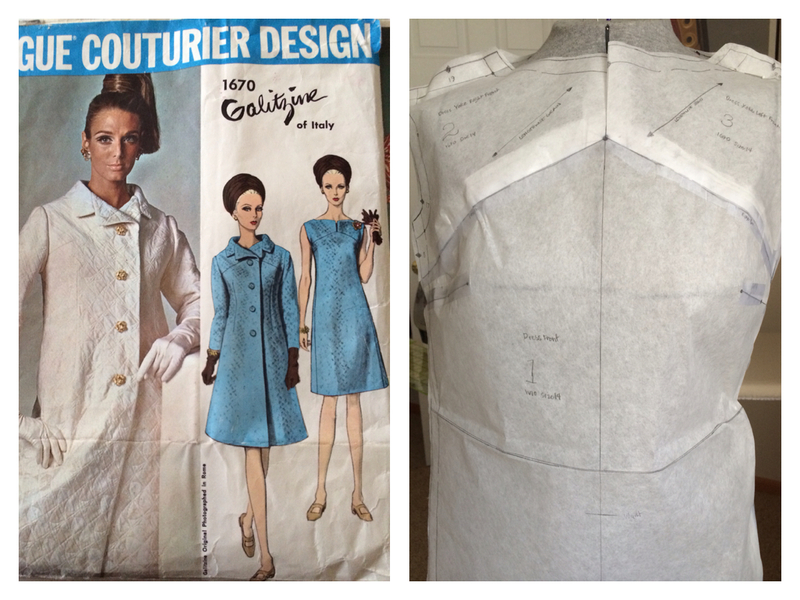 I have cut Vogue 1670 size 14 out of Swedish tracing paper. It’s great! This was the first time I used it. It is much more durable and easier to pin together. Can easily see through it to trace. Don’t use a Sharpie pen. It bleeds. I learned the hard way. 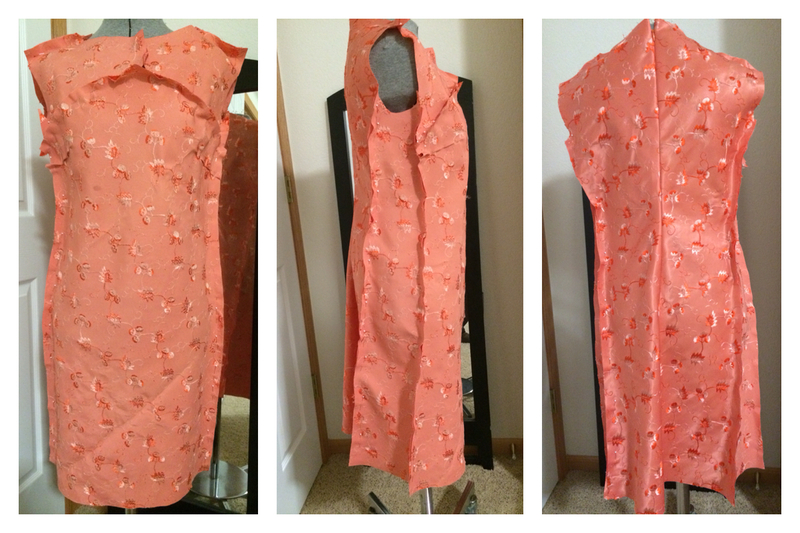 This dress is done on the bias so there are separate pieces for right and left showing the grain line. I found it problematic because sometimes the opposite piece didn’t mirror exactly so have to fudge a little to match at neckline. Could have been my tracing skills and not discrepancy in pattern. The shorten line on the front is really my waistline. The bust is ever so slightly higher than mine and the hem will need to be shortened. Seems to have quite a bit of ease. It seems as if the shoulders extend too far, too. Everything is supposed to be underlined. The instructions also said to cut the fabric and pin it together then hang it overnight before sewing. I’ve read of bias dresses needing to hang overnight before sewing the hem but not before you begin sewing. I am using as a muslin some fabric from eBay that was advertised as silk. Unfortunately, when it arrived I realized it was some type of polyester/synthetic material. The seller was willing to discount the material. Since it is a muslin, I did not underline it. It is a heavier material anyway. I have already sewn an invisible zipper. Has anyone made this dress before? I’ve googled it, but have not found one. This will be beautiful when finished! I love a dress and coat combination.